It’s not just Nelson’s scenery and the promise of some great outdoor adventuring that draws visitors, this is a lively little city, with great beaches, lots of parks and green space, plenty of sunshine and a vibrant cultural life. It’s so nice that it is considered one of New Zealand’s top places to live and a desirable place for retirement living. Nelson has one of the best, and safest, beaches in New Zealand, Tahunanui Beach, which is backed by a large, grassy park with a swimming pool and cafe etc.. Nelson also has a great Saturday morning market held in the Montgomery Square car park. If you’re at all familiar with Admiral Horatio Nelson, then you’ll recognise the names of many Nelson streets and landmarks. Surprisingly there isn't a maritime museum but there is the Nelson Provincial Museum, filled with cultural heritage and natural history exhibits. The Founders Heritage Park is a replica historic village. Nelson also has a beautiful Art Deco Cathedral and an art gallery. Of course you’ll also want to get out on the water and explore the Abel Tasman National Park, and possibly visit some local wineries? Spend lazy days under the sun lounging on the pristine Tahunanui Beach. Make a stop at Nelson's striking Art Deco Cathedral. Head out of the city and embark on long hikes through the stunning Abel Tasman National Park. Visit the numerous excellent wineries in the vicinity. Our pick of the best places to stay in Nelson offer something for all budgets and tastes and all are ideal bases for exploring the city and surrounding region. 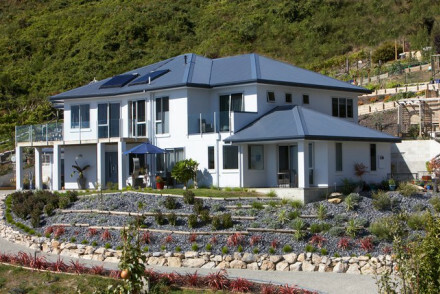 Wakefield Quay House is a luxurious two room B&B villa right on Nelson’s waterfront, with fantastic views over Tasman Bay. The rooms are decorated with antiques and original art works. And you’re close to some of Nelson’s great restaurants. 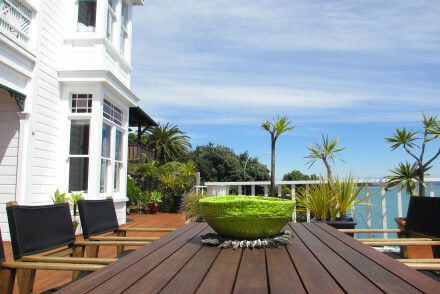 Te Koi Lodge is on Nelson’s Bronte Peninsula, offering views over the Waimea Estuary. The rooms are chic and modern with private terraces and verandas. There’s also a swimming pool, lovely gardens and gourmet dining. The Cathedral Inn is a seven room B&B which has been carefully converted from a 19th Century mansion in the heart of Nelson. 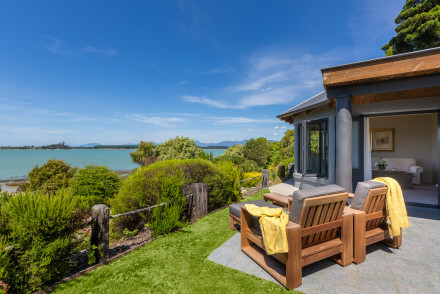 As well as being within walking distance from many of the main attractions, you’re also close to the Abel Tasman National Park - and your immediate surroundings are a large, tree-filled garden. A Culinary Experience is a boutique, two room B&B focussed on gourmet food, cooking classes and wine tasting tours. The accommodation is light and luxurious, with a hot tub, private cellars and a large veranda. You’re also close to the beach and the Abel Tasman National Park. Nelson Airport has connections from Auckland, Wellington and Christchurch. Frequent ferries run between Wellington and Picton 110km away with onward bus connections to Nelson. Best time to visit - The Nelson Tasman region has an enviable Mediterranean and sunny climate that allows visitors to explore and enjoy all year round. Extend your search and take a look at all our South Island recommendations. 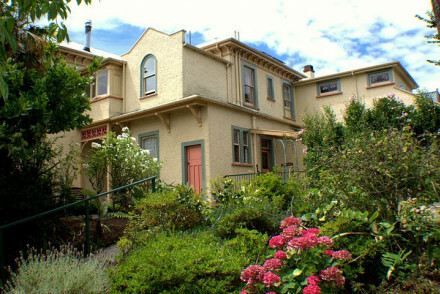 19th century mansion turned B&B in the centre of Nelson. Rooms are individually decorated in traditional style. Large tree-filled garden with outdoor seating areas. Within walking distance of cathedral, restaurants and galleries. Close to Abel Tasman National Park for great walks and birdwatching. Sights nearby - Right beside Christ Church Cathedral. Luxury suites and villas set on Nelson's Bronte Peninsula with views across Waimea Estuary. Chic, modern and elegant rooms with private terraces and verandas. With a heated outdoor swimming pool amid lovely landscaped gardens, and gourmet dining plus award winning wines. Luxurious and indulgent! Birdwatching - The Waimea Estuary provide great birdwatching opportunities.